Optimum MDR Mineral Deposit Remover 128 oz. Home > Optimum MDR Mineral Deposit Remover 128 oz. 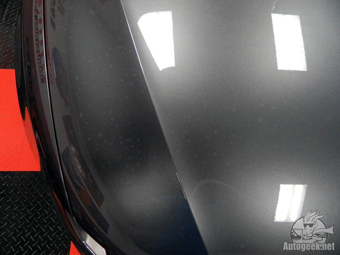 Remove water spots before they etch your paint! Optimum MDR Mineral Deposit Remover is a thick, non-abrasive gel that clings to automotive surfaces and dissolves topical water spots and other water-based contaminants. Optimum MDR Mineral Deposit Remover combines environmentally-friendly acids with chelating agents to quickly and safely remove water spots, leaving the surface smooth and clean. Optimum MDR Mineral Deposit Remover eliminates the need to use abrasive polishes for the removal of light water spots! Optimum MDR is a thick gel that's easy to apply by hand. Minerals, particularly calcium and magnesium, are what constitute “hard water.” Hard water is responsible for water spots and that green ring around your bathtub. The calcium and magnesium actually harden inside pipes (called “scale”) and on other surfaces, including your vehicle. When you park next to a sprinkler, or rinse your vehicle with hard water, you could be dousing your vehicle with hard mineral deposits.> Optimum MDR Mineral Deposit Remover removes these mineral deposits, leaving your paint clean and shiny. Optimum MDR Mineral Deposit Remover can be used on all hard exterior surfaces including paint, glass, chrome and wheels. Application is as simple as applying quarter-sized amount of MDR onto a applicator pad and working the product into the surface for 30-60 seconds. 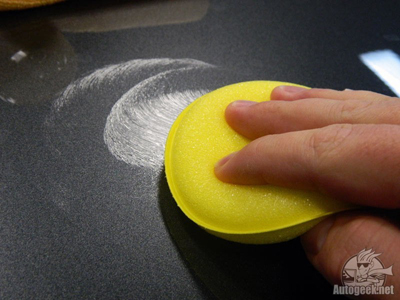 Wipe off the residue and check to see if the surface is clean and free of mineral deposits. 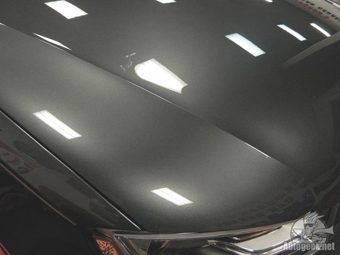 Wash the surface to remove any remaining residue and apply your favorite car wax, like Optimum Car Wax. Stop struggling to remove water spots and pick up a bottle of Optimum MDR Mineral Deposit Remover. Optimum FerreX Iron Remover 17 oz.